Built from waterproof suede and leather, the DeSantis Terminator shoulder holster has a foam-padded bandoleer strap to ease the weight of heavy revolvers such as the S&W .500. It has adjustable tension, a hammer strap and a belt tiedown, and its full-grain leather is oil-finished in saddle tan. 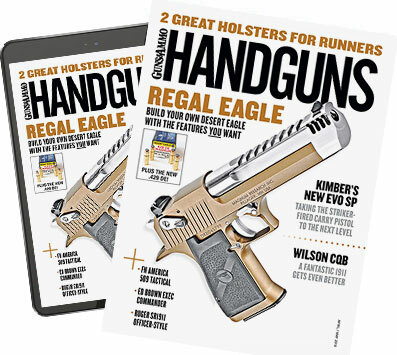 It is available in right- or left-hand versions for all large DA revolvers. Price: $199.99. Contact DeSantis Holsters & Leather Goods.